Thoughts of a Cardmaking Scrapbooker! 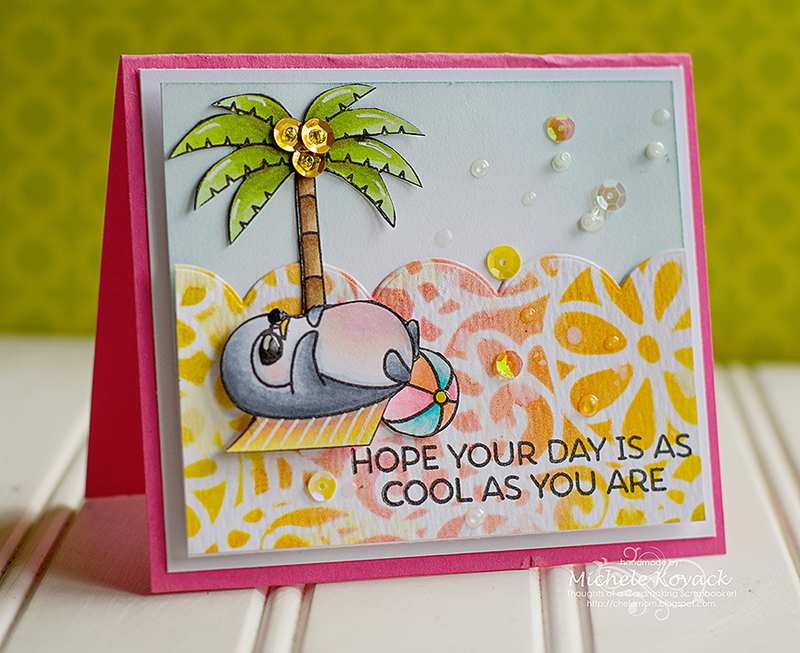 : This Penguin Needs Sunscreen! This little guy needs to watch out! His belly is getting a bit pink! Everything was colored with copics. The "sand" portion was done with a floral stencil I had and various shades of yellow, orange, and pink Tim Holtz inks. I usually do your "normal" sand but wanted to jazz it up a bit. I think it worked pretty well! 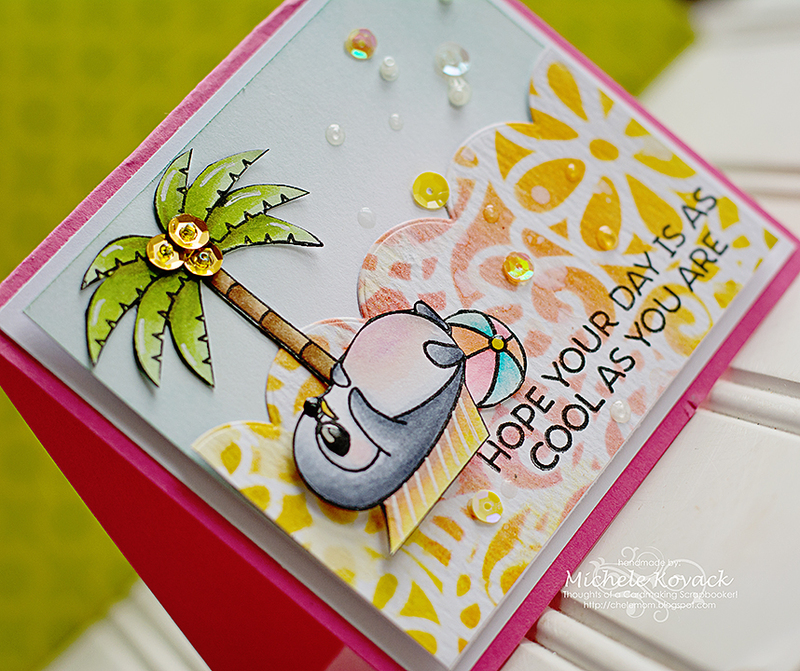 I lined up the sentiment using my Mini Misti and then added some seed beads and sequins to finish off the card. No sun here today. Storms rolled in last night and apparently they are here to stay throughout the day. I LOVE your sand! All over totally darling card, Michele!